Baulme-la-Roche is a small village in the Côte-d'Or department in the Bourgogne-Franche-Comté region of eastern France. 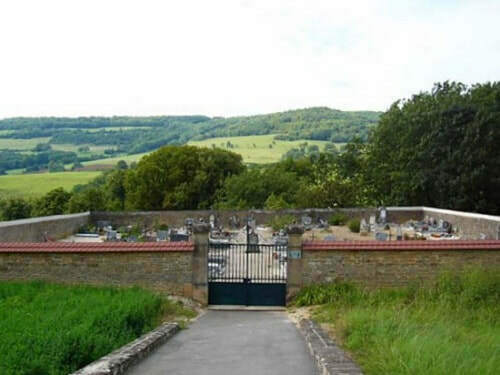 The Communal Cemetery is located south of the village on the D104C. 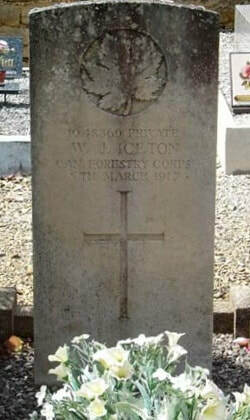 1048369 Private W. J. Iceton, 21st Company, Canadian Forestry Corps, died 5th March 1917, aged 25. Son of Jackson Iceton, of Darlington; husband of Mary Ellen Horner (formerly Iceton), of 60, Devonshire Terrace, Darlington, Co. Durham, England.